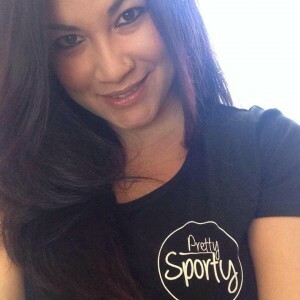 Continuing on the theme of women supporting women in sport, I chatted to Amanda Gohr, Director/Partner of Pretty Sporty Media (alongside Andrea Gee) and discovered there IS a need for a women’s sport website with a Western Australian flavour… plus, they’re smashing it! Why did you decide to start your own website? We have both worked in sports marketing for awhile and met while working together. We both left our jobs around the same time and started our own marketing companies. During that process we would often discuss the lack of female sport coverage, in Western Australia particularly. We knew about the great things our Western Australian female athletes were doing and decided to start Pretty Sporty to give exposure to the great results and the interesting personalities. Pretty Sporty is a lot more than just about women in sport, we also work with leading sports wellness experts to provide content around nutrition, injuries, wellbeing, personal development and many more areas that are specific to elite athletes but can be applied to the ‘wannabe athlete’ in all of us. To complement the site, we also have a radio show that is broadcast on 91.3 SportFM on Mondays at 6pm WST and an extended podcast version that can be found on our website. What made you decide to start your own website, as opposed to working with an existing organisation, website or sport? We were both establishing our own businesses when the idea first came to us, so starting Pretty Sporty allowed us the flexibility to work within our own time frames and around our existing clients. There is no one in Western Australia that is solely focused on women in sport from a media perspective so we fill that gap. Very important. We don’t have a feminist agenda, we just focus on reporting on sport and providing meaningful wellness content. We’ve always said, ‘We could have started another AFL blog but there’s enough of them going around’. We want to make women’s sport normal – similar to how you refer to other sporting sites for specific news, you can come to Pretty Sporty to see what’s happening in female sport, with a Western Australian flavour. We don’t necessarily look at it as an area of importance, it’s just an area that lacks coverage – and when establishing any media site, you need to find a niche that isn’t flooded. Female sport provides a good opportunity to cover sport without competing with major media outlets. The mainstream media often tells us ‘No one’ in interested in women’s sport. What do you say to that? We think that’s a fairly blanket statement that mainstream media would have been better off framing as, ‘More people are interested in AFL, Cricket, [insert major sport here]’. At the end of the day, mainstream media has commercial objectives that dictates their coverage – they need to sell papers and advertising – so they need to provide what the mainstream wants. We think the mainstream wants to hear about success more specifically, and we’ve seen with the success of the Matildas, Hockeyroos and Aussie Diamonds that they do get coverage during periods of success. There needs to be more Australian businesses sponsoring female sports. The argument for equal pay can’t be justified until business starts supporting female sport. This will allow our athletes to become semi-professional or professional athletes and create environments that are more conducive to success on the international stage. We are lucky to receive corporate support from Telstra, who also sponsors many sports, including female sports like the ANZ Championship, and other businesses in Australia should take Telstra’s lead. What are your long-terms plans for your website? We want to establish Pretty Sporty as the leading website and radio show for Western Australian female sport by providing a complete package. For us, that includes wellness contributions from some of Australia’s leading sports experts – who we are so lucky to have working within WA sport. Amanda Gohr has worked in sports marketing for over eight years and has worked for major sporting organisations including the Fremantle Dockers, Australian Commonwealth Games Association (WA Division), Australian Olympic Committee and West Coast Fever (ANZ Championship). She is now the Director of twentyfour consulting that specialises in sports marketing and communications and is Director/Partner of Pretty Sporty Media alongside Andrea Gee, who is also a sports marketing professional and Principal Consultant at Trilogee Marketing Services.